Google knows a thing or two about streaming. 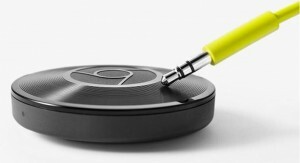 You only have to look at the success of the Chromecast, which is now in its second generation. Now the company is turning its expertise to music streaming. 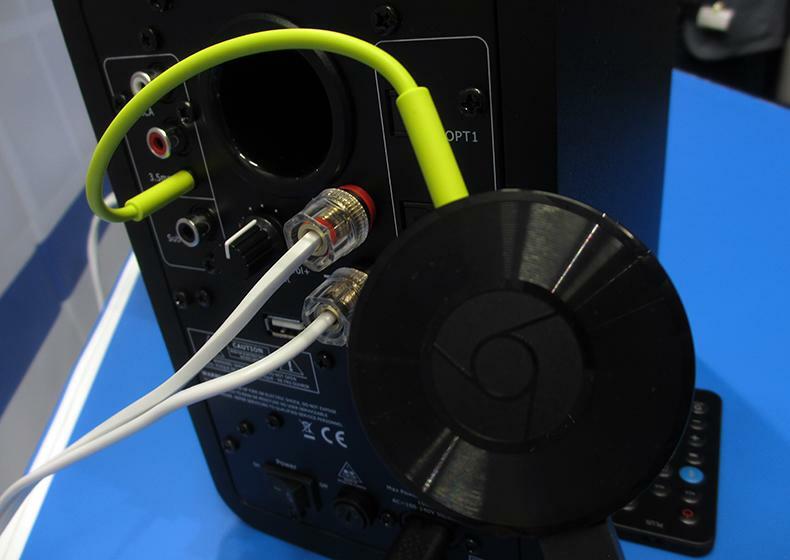 Meet the Google Chromecast Audio, designed to bring wireless streaming to your offline speakers and amplifiers. What you get is a small disc the size of a Jaffa Cake. 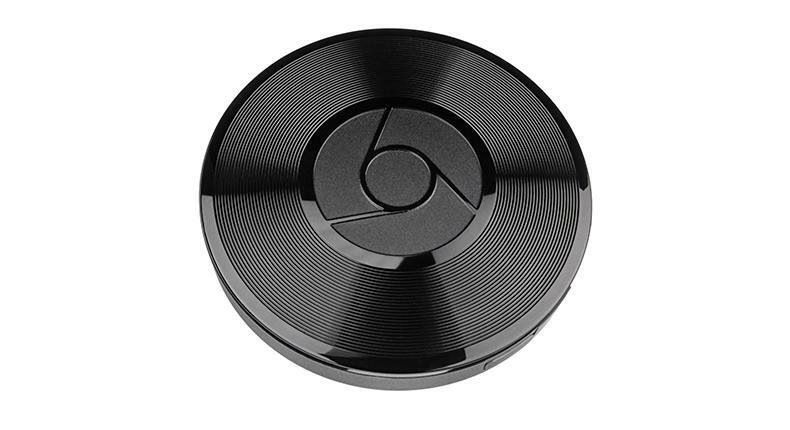 At first glance it is almost identical to the new ‘regular’ Chromecast, but the Chromecast Audio has tiny circular grooves to evoke the image of vinyl records – a bold statement of intent to supplant the black stuff, maybe? There are two hard-wire connections: a microUSB port used purely for power, with a wall adapter included in the box, and a hybrid 3.5mm/digital optical output. 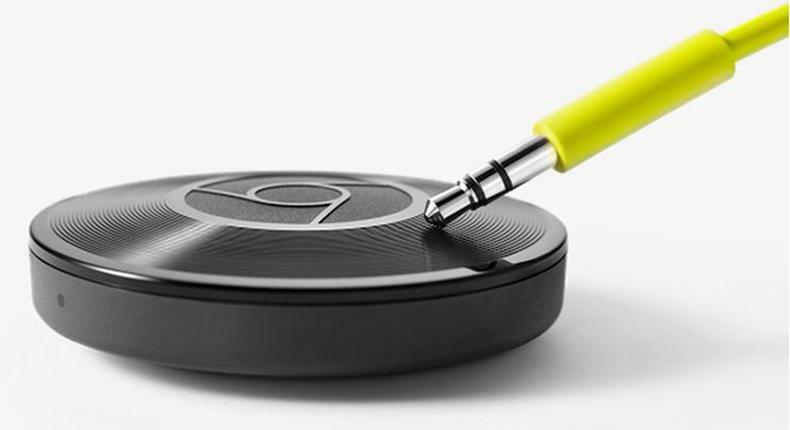 The premise here is essentially the same as the other Chromecasts. The device connects to your wi-fi network, streams directly from the internet and is controlled by smartphones, tablets and computers. A key difference here is that the Chromecast Audio does not plug into an HDMI slot on the back of your TV, instead it plugs into your audio inputs: 3.5mm (cable included), RCA and optical. That means you can bring web-based music to a host of existing but offline devices: active speakers, soundbars and integrated amplifiers, for example. It’s a neat way to expand the capabilities of your ‘dumb’ hi-fi system. So where does the music come from? You’ll need a Cast-compatible app. There are many free and subscription options including Spotify, Deezer, Rdio, TuneIn Radio, NPR and Google Play Music. BBC Radio iPlayer is promised for the near future. Sadly there’s no word on Tidal yet, but as for Apple Music, we’d eat our hefty Awards 2015 magazine if it ever cooperates. Apps aside, you can play or ‘mirror’ directly from any computer running a Chrome browser. Setting up is a breeze. You use the excellent Chromecast app to speak to the Chromecast Audio, then tell it to log into your home’s wi-fi. The most complicated thing here is deciding on what to name your new toy. We settled on ‘Tiny Dancer’. 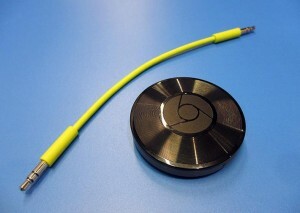 The Chromecast app is no longer just a set-up portal either. Now it also serves as a discovery tool: it lists all of the apps you have that are Cast-compatible, with the option to download others. It also lets you manage your network connection settings and, more importantly, your sound settings. There is a ‘guest mode’, which lets other people control and play music on the Chromecast Audio without joining your home’s wi-fi. 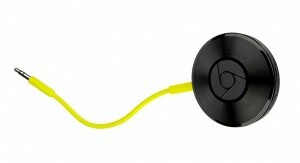 According to Google, this could lead to all manner of DJ battles in your living room. There will be a multi-room mode, for those with several Chromecast Audio devices dotted around the house. Assuming you already have speakers in different rooms, attaching this little £30 dongle would be a cheap way to get them online and take the fight to the likes of Sonos. The feature is not fully ready yet, but Google promises it will be made available with a future software update. We connected our single unit to a number of devices: a stereo amp in a full hi-fi system, a micro system, a portable speaker and even a pair of headphones. They all worked flawlessly, with quick setup and a stable connection. We were listening within minutes, and changing tracks on our smartphone was as responsive as doing so on a physical remote control. Before you do any listening, we’d advise a quick dip into the settings. Activate the option for ‘high dynamic range’. Switched off by default, this stops the Chromecast Audio from really singing. If your set-up is half decent, it will really benefit from leaving it on. How the Chromecast Audio sounds depends on what device you use it on and what service you’ve chosen. As a general rule, we’d say that you get a performance not far short of what you get when physically plugging in a device. We took an old Denon D-M30 for a spin with both Chromecast Audio and a plugged-in LG G4, and the performance was broadly of a similar level. 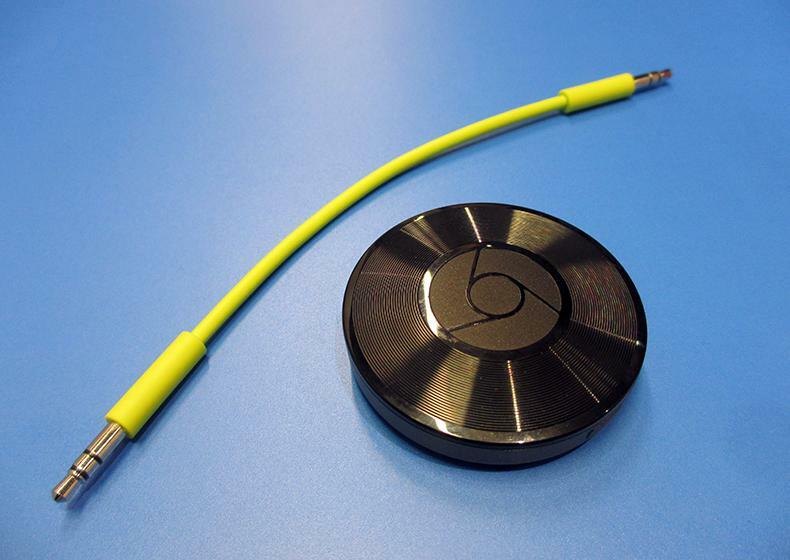 Next we tried the Chromecast Audio with a B&W T7 Bluetooth speaker. That is somewhat redundant given the speaker’s built-in wireless capabilities, but Google is keen to stress that wi-fi has a huge advantage over Bluetooth, namely less compression. 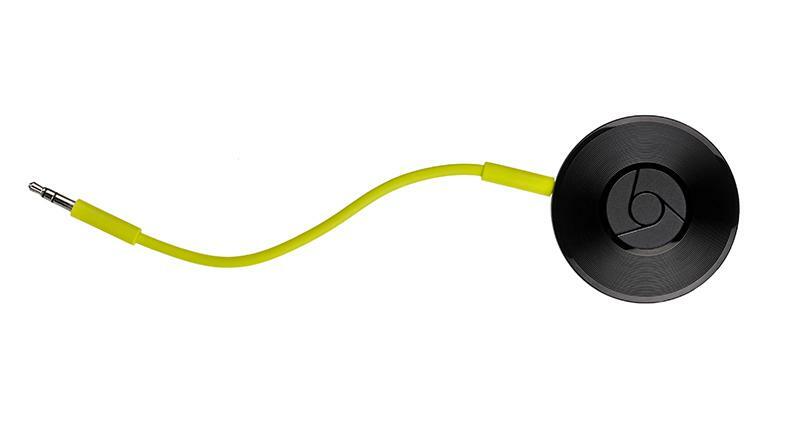 The performance certainly reflects that assertion: the Chromecast Audio’s wi-fi sound offered noticeably greater detail and dynamism than we got over Bluetooth. Connecting over wi-fi also means your music doesn’t get interrupted by the sound of text messages and alerts, as it does when using Bluetooth. The Chromecast Audio also saves you battery power, as your smartphone doesn’t actually handle any data. The Chromecast Audio is a simple and slick device with one goal in mind: to bring wireless music streaming to systems that may be in need of updating, without having to replace all your existing kit. Google has definitely achieved that particular objective. We are big fans of the original Google Chromecast, and we’re hugely excited to see that bag of streaming tricks being used for music. In a world increasingly defined by the latest products, it is great to see something that rewards you for holding on to your existing equipment.